The BusinessNZ Energy Council (BEC) and World Energy Council (WEC) will host their second Asia Pacific Energy Leaders’ Summit from October 31 to November 1 at the Museum of New Zealand, Te Papa. 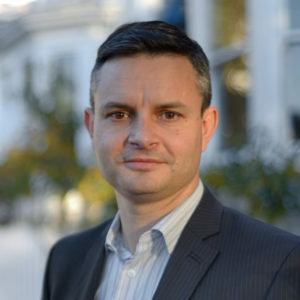 New Zealand Minister of Energy and Innovation the Hon Megan Woods and Minister of Climate Change the Hon James Shaw (pictured) will host a Gala Lunch and Networking Event to discuss the economic transition faced by countries that are moving to decarbonise their economies. The event will also feature Prime Minister of the Cook Islands the Hon Henry Puna. The New Zealand Government is attracting international attention for its ambitious climate change goals, says WEC Secretary-General Dr Christoph Frei. The targets – 100pc renewable electricity, in a normal hydrological year, by 2035 and a net zero emissions economy by 2050 – commit New Zealand to a long-term transition away from fossil fuels and towards renewable energy. “Climate change is a global issue, and one that necessitates leadership and collaboration between countries if action is to be effective,” Dr Frei says. The programme features international speakers from Amazon, Bloomberg New Energy Finance, Daikin, Uber and innovators from Silicon Valley. They will share insights on how to accelerate innovation, design new customer-centric business models at a time of rapid change, and create the future rather than predicting it. “The 3D vision – New Energy Perspectives Summit is a must-attend event for those who want to be better equipped to understand and deal with the changing energy landscape,” says BEC Chair David Caygill. “The traditional energy landscape is shifting with the meta-trends of decarbonisation, decentralisation and digitalisation [the ‘3Ds’] at the fore. But as the risks shift, so too do the opportunities.